It is important for a business owner to know when the right moment is to sell his/her business. We will help the owner to make the decision and to maximize the value of the transaction. We have the tools and the experience to assist with the business valuation. 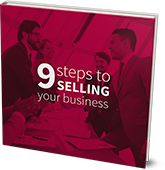 9 STEPS TO SELL A BUSINESS IN LESS THAN 3 MONTHS. Initial meeting: discuss the reasons you want to sell, the market conditions, history of the business and discuss your goals and strategies. Preparing the business for sale: this involves reviewing the financial information and working on a recast of income statements. We will also historical and current information regarding the operation of the business. Listing your business for sale: this involves the review of the business appraisal, the review of the listing agreement and discussion about additional details of the business. Marketing your business for sale: we sell aggressively market your business to serious qualified buyers. We will actively use internet profiles, letters, emails, phone calls and networking with brokers. Qualifying Buyers: We will determine a potential buyer’s financial capability, experience and time frame, along with their commitment to the process. Presenting to a qualified Buyer: When a buyer meets our criteria and executes a Confidentiality Agreement, a full presentation will be made. Conduct a Buyer Seller meeting: When a Buyer meets our criteria, can be financed, has sufficient down payment and is serious about pursuing your business, the next step is to set up a meeting with the Seller. Due Diligence: Due diligence is the process of verifying all the important information in all aspects of a business. The due diligence process should answer the questions: Should I buy? How much should I pay? How am I going to pay?